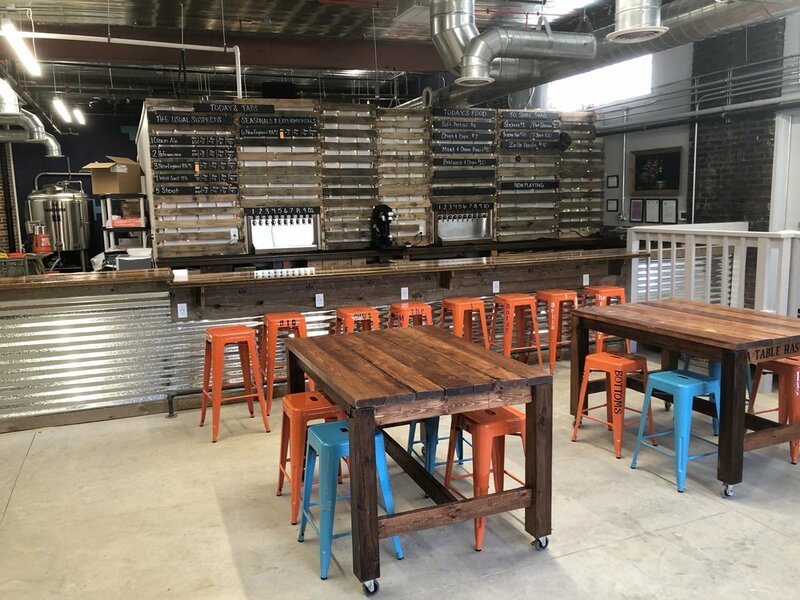 Rent out the entire To Share Brewing taproom for events of up to 80 people. Reserve our game room for a semi-private space for up to 30 guests. Tables on wheels and moveable stools give you the flexibility to configure the space to meet your needs. Need more details? Reach out to us with any questions. WE ARE JENNI & AARON SHARE AND WE'VE BEEN BREWING BEER SINCE 2003. We met in Washington, D.C. in 2008, we married in 2012, and shortly after getting married we moved to Manchester, NH for work. Since then we've fallen in love with the state of New Hampshire, and the city of Manchester, in particular. We want to give back to the community and provide great craft beer to the people of New Hampshire. To Share Brewing Company is our way of being able to do what we love and commit to a community that has become home to both of us. We hope you’ll follow us along for this journey. WE LOVE GOOD CRAFT BEER AND WE WANT TO SHARE THAT LOVE WITH MANCHESTER, NH. Interested in To Share Brewing Company? Want to schedule an event at the brewery? Questions? We'd love to hear from you.